AHHHHHHH!!! It’s almost time and I can hardly stand it! 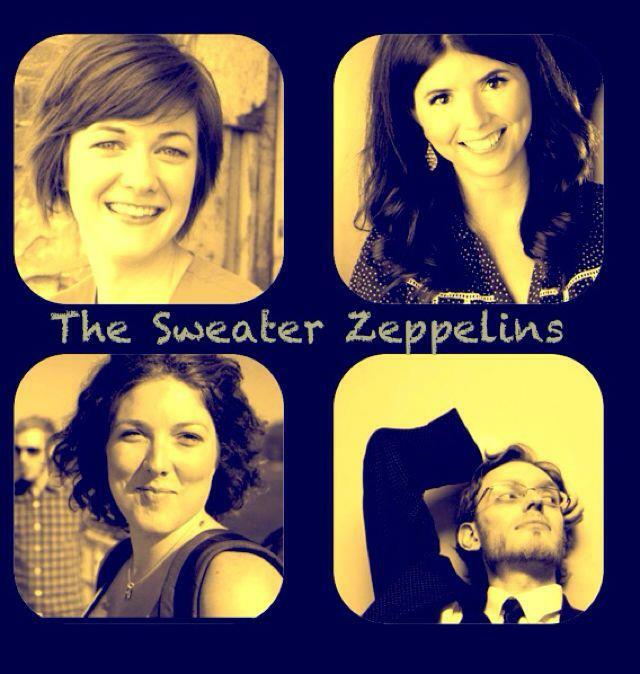 My new sketch comedy group of ladies, The Sweater Zeppelins, is presenting our first show in Vancouver. We have worked hard the last few months writing and producing this gem. Check us out on Facebook for updates and news. Tickets are $10 at the door, but you should buy in advance HERE so we don’t have to turn you away at the door as the Havana Theatre has rather limited seating. Show starts at 8:00 pm each night, and Havana is also a restaurant with delicious Cuban food. You should eat there too. I get to work with the bold Ellie Heath (upper right), the spunky Megan McLachlan (lower left), and we are being directed by the ingenious Nikolai Witschl (he’s a man, but we forgive him). We have been working really hard to make this show something original and memorable, and we are all really proud of what we’ve created. 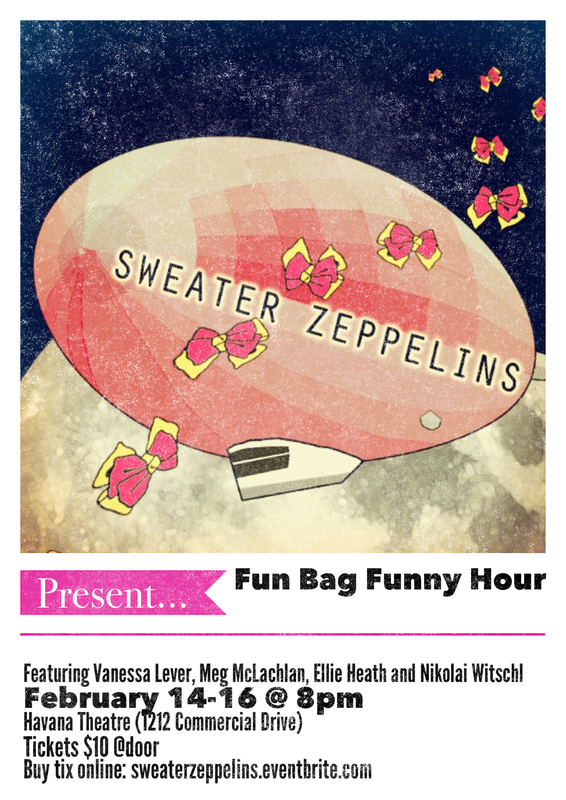 So come and see what goes on in our brains, I DARE YOU!